This entry was posted on December 6, 2016 by Texas Safety Supply. 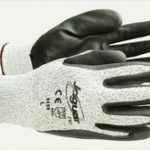 The Best Cut Resistant gloves for Kitchen work is an important decision for Purchasing managers for Corporations, restaurants and Food Processing companies. The important concept to grasp here is that OSHA does not tell you what glove that you need to use to protect your employees from Cut Protection Hazards in your work place. They don't give you the answer to the pop quiz, they require you to do the homework and come up with the answer of the correct, the best cut resistant gloves for your needs and requirements. What OSHA does tell you under OSHA 29 CFR, is that you have to identify the level of cut hazards specific for your work place and then provide the appropriate level of protection to protect your employees from cut hazards in the work place. Figure out the issue and then provide the right level of production. If you are the Safety manager at a Poultry, Meat or Fish processing plant that processes food stuffs, in general there is chopping and heavy cutting applications taking place and in most cases the Best Cut Protection Gloves Level 5 will be required to meet the standards. Texas Safety Supply has the products needed to meet the Cut Protection hazard needed in your work place. First, a Quick review of 29 CFR and specifically Hand protection requirements by OSHA are OSHA. The Main Standards that apply are 1910.132 and OSHA 1910.138. OSHA 1910.132 states that if there are hazards present, that you should know what they are and provide the needed protection to keep people save in the work place. As they say, ignorance is not an answer or excuse. If you didnt know, well then you should have. Do your home work, talk to experts. Call Texas Safety Supply as we can help assist with your questions and help identify some options for the right protection level for the best price. Your goal for hand protection is to provide the Best Cut Resistant gloves at the best price for your needs. We have many options. OSHA 1910.138 is specific to Hand Protection. 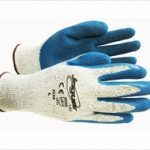 This standard regarding the Best Cut Resistant gloves states that the Employer is responsible to identify the appropriate level of Cut Resistant glove, the best cut protection gloves for the task to be performed. If your company is involved in Food Processing for Poultry, Meat or other cut gloves for food processing or possibly the handling of Glass while making windows or doors, in all likelihood your facility may require a Cut Level 4 or Cut Level 5 Glove. A couple of Good options for the Best Cut Resistant Gloves Kitchen ready may be the jaguar Line of Gloves. 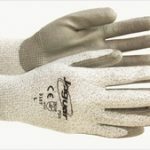 The Thread of The Jaguar Cut Resistant Gloves offer excellent protection based on your need and requirements. ANSI Best Cut Resistant Gloves for Kitchen chopping and Cutting with a Cut level Rating of 4 may be needed. A Cut resistant or abrasion resistant coating may be needed for shredding food preparation to prevent abrasion cuts from cooking. Jaguar Gloves are well known for their breath ability ensuring that the hands will not get hot and sweaty while handling Kitchen duties. Nitrile is highly Snag resistant. Snags can occur in the Food prep area while moving quickly with shaving and cutting operations. A good Nitrile Glove with ANSI Cut Level 4 Protection is a great choice. precise cutting and handling of objects and food cuts. A great glove like the Jaguar improves efficiency and productivity for all wearing the Jaguar Line of Gloves. Texas Safety Supply has a complete line of Industrial Safety Products for all of your Industrial Safety Supplies needs and requirements.